RATEPAYERS across the district have been hit with a 1.99% increase in their annual rates bills. 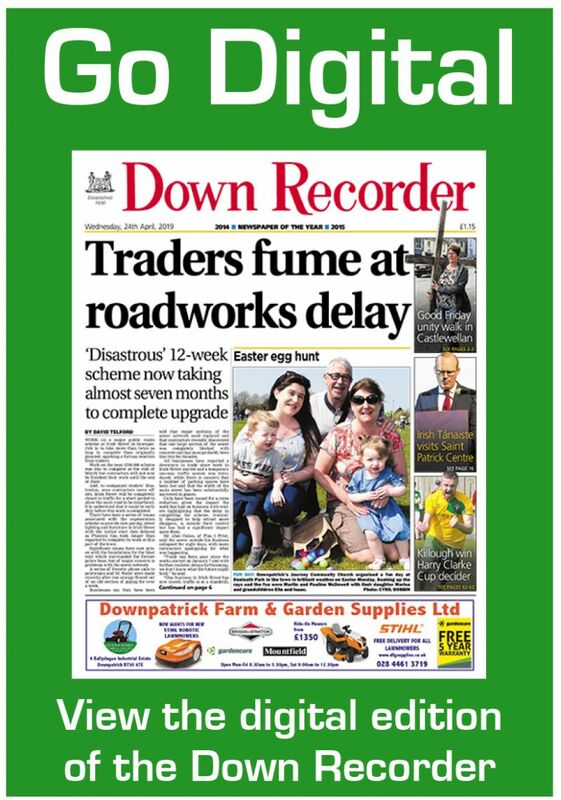 The below inflation rise — as exclusively revealed in last week’s Recorder — was agreed by Newry, Mourne and Down councillors on Monday night to fund the organisation’s £57m budget in the new financial year. The increase will mean people with a property valued at £100,000 will be paying an additional £7.60 a year, with council officials indicating a lot of hard work went into agreeing budgets across a range of departments to maintain services at their current level and, significantly, to allow for future growth. The 1.99% increase was formally proposed by SDLP councillor Gary Stokes and seconded by Sinn Fein’s Mickey Ruane during one of the shortest rates meeting in the local authority’s history. It was also confirmed in papers submitted at Monday night’s meeting that the local authority’s salaries and wages bill for the new financial year will be just over £38m, with £2.4m being spent on servicing loan charges. Council officials say the rates increase will cover the costs of public services the local authority is responsible for, including the economic regeneration of the district, planning, provision of leisure and community facilities, refuse collection and street cleansing. The rates residents pay are made up of two components — the district rate which is agreed by the local authority and the regional rate which is usually agreed by the Northern Ireland Executive. This money, along with the block grant that Northern Ireland receives from Westminster, is used to pay for public services, with local politicians increasing both the district’s domestic and business rates on Monday night. Council chairman Mark Murnin said one of the council’s most important responsibilities was to set a rate that enables the organisation to fulfil its commitments to everyone. He continued: “At the same time, it is important that we take into account the challenging economic circumstances that our ratepayers, both domestic and non-domestic, are experiencing, particularly in respect of the uncertainty surrounding Brexit. Cllr Murnin said the local authority was “proud” of its record of providing funding to many community groups which delivered projects on the ground throughout the district. He said that during the current financial year, 491 community groups and their schemes benefited from funding totalling in excess of £1.5m, confirming the local authority expected to deliver ongoing support throughout 2019/20.